talented staff to the security sector. Aquila ensures its clients own the advantage, providing technology solutions and skilled teams to help manage challenges faced by the defense and cybersecurity sectors, and other government entities. We recognize there is no room for wrong choices for our clients. Aquila delivers a consultative approach matched with deep technical acumen, supported by committed professionals. Winning the security sector on behalf of our clients is more than our responsibility. It’s our duty. 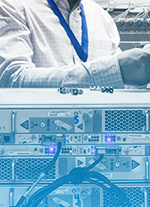 We provide IT and engineering support, including services in support of data centers, networks and security, as well as providing implementation and maintenance for technology design programs. Aquila’s commercial and government clients manage a vast portfolio of programs, many of which directly impact national security and defense-related efforts. Aquila works with and values its industry partners and customers which include United States Department of Defense (DoD), Federally Funded Research and Development Centers (FFRDCs) and other government agencies. These vigilant, critical organizations share our belief that duty coupled with performance results in excellence. Aquila identifies, trains and supports the very best team members to ensure we successfully accomplish every goal. Aquila ensures its clients own the advantage, providing skilled technology solutions and teams to help manage challenges faced by cybersecurity, defense and government entities.